Why Resort to Shenanigans to Make Green Energy a Reality? 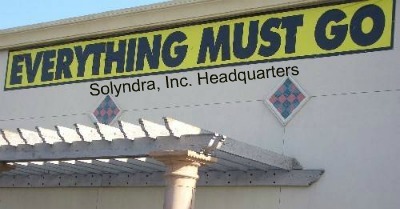 We all know about Solyndra. We are learning about Fisker, the start-up electric car company, which received a $529 million loan from the Department of Energy. Touted by Vice President Biden as “a bright new path to thousands of American manufacturing jobs,” the cars are being manufactured in Finland. These are big stories being covered by the major media outlets. And these are only two such stories out there. A couple of weeks ago, I wrote about two smaller stories from little states where shenanigans, at the least, and possible outright corruption, at the worst, were engaged in attempting to push through supposed green-energy projects. While researching those, another shady story surfaced: Rhode Island’s Block Island Wind Farm Project. Back in 2004, in a different political and economic world, the RI General Assembly passed a Renewable Energy Standard that states: “fossil fuel prices are extremely variable and created economic hardships for employers and families, and increased use of renewable energy can both lower and stabilize energy cost.” The ratepayers of RI were sold a bill of goods that renewable energy can lower energy costs. Undaunted, Carcieri and the General Assembly, in a late-night session, rushed to change the law, mandating that the PUC reconsider its rejection—a decision that would ultimately guarantee the project’s approval. Within the plan, hatched by then-Governor Carcieri’s administration, is a guaranteed 3.5% price escalation for Deepwater Wind Inc., the New Jersey-based company developing the project—pricing starts at 24.4 cents/kwh, which will become 47 cents/kwh in 20 years. However, earlier this year, because of a drop in natural gas prices—the source fuel for most of RI’s electricity generation—the RI PUC approved a rate decrease from 9.4 cents/kwh to 6.9. Wind power rates nearly quadruple current prices logically should have sunk the Block Island project. Nevertheless, it has continued forward. The project’s viability was based on a politically motivated Power Purchase Agreement. After the PUC did ultimately approve the PPA, three groups appealed the decision to the Supreme Court: two businesses based on economic damage and irrational decision making, a conservation group who’d initially supported the project but became concerned about inappropriate process and backroom dealing, and the Attorney General who believed the project was bad for consumers. The 2010 election brought about changes. The new AG, Peter Kilmartin, was in the legislature at the time of the dead-of-night rule change that allowed the Deepwater Wind project to go forward. He’d voted for it. No surprise, as the new AG, he dismissed the former AG’s appeal. Former Carcieri chief of staff Jeffrey Grybowski is now chief administrative officer for Deepwater Wind. The Supreme Court heard the remaining two appeals despite a conflict of interest. Justice Maureen McKenna Goldberg’s husband, Robert, had received $100k as a lobbyist for Deepwater Wind. Not surprisingly, the Supreme Court upheld the approval of the PPA. But more rule changes are in order. Within the PPA was an automatic termination clause if regulatory approval was not received by June 30, 2011—one year from signing. On July 1, 2011 the Supreme Court upheld the PUC’s approval. Logic would dictate that the contract is terminated. On September 29, Deepwater Wind filed a petition with the PUC to waive the termination clause. On October 15, Toray Plastics responded and filed an objection to the waiver. Why would the former governor, the state legislature, and the Supreme Court go to such extreme measures to raise energy rates for the state of RI? Why would the EPA Administrator continue to issue one cost-increasing regulation after another? Why does the Energy Secretary want America’s gasoline prices on par with the European model? Why does President Obama believe that electricity prices will necessarily skyrocket? As was illustrated a couple of weeks ago in the article about Toray Plastics, cost-effective energy is an important part of manufacturing and jobs in America. Energy is more than a jobs plan. Energy is about more than anti-terrorism. Energy is an integral part of the economy. Energy makes America great. So why is there a campaign to block or restrict it? How will raising the price help business or the tapped-out household? As we head into the 2012 election cycle, energy needs to be front and center. It needs to be a part of the presidential debates and a part of kitchen-table discussions. Previous post: Did Obama EPA/DOT Officials Lie to Congress?